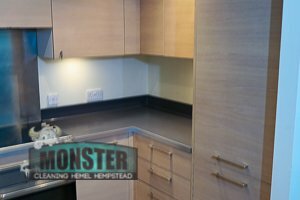 Monster Cleaning Hemel Hempstead is a company with many long years of experience in the clenaing industry. We started as a small organisation with 1 team of cleaners and 1 carpet technician. Our company has built strong relations with our customers, based on trust and loyalty. We invest constantly in customer researches and market surveys, to help us improving our customer attendance and quality of our work. The areas that we now cover are Hemel Hempstead, Aylesbury, Luton, St Albans, High Wycombe, Maidenhead, Slough and more. We are a specialized company in home and commercial clean ups. Call us at 020 8077 2357. We have a wide range of provided services. As a company with leading position on the market, we know how important is promoting of the green working way. We use only ecologically friendly and carbon neutral detergents, which are 100% harmless for your family and pets. The cleaning liquids that we use are not tested on laboratory animals. The machinery, that we use is brand new and powerful, this is how we ensure the great quality of our work. We use only modern and proven cleaning materials and equipments. We are company and we understand how hard is to afford professional cleaning services, that is why we work every day to make our services more efficient and cost effective. Our prices are reasonable and competitive. Do not break your bank! Our company stands for professionalism and high quality. To keep high standards, we often organise training seminars and team buildings to motivate our staff members. All of our cleaners are well trained, experienced and ambitions. When hiring our workers our main requirements for them are being trustworthy, reliable and hard – working. All of our cleaners are police checked and fully vetted so you do not need to worry about the safety of your premises. Do not waste any more time, call Monster Cleaning Hemel Hempstead and save time for the important things in your life!